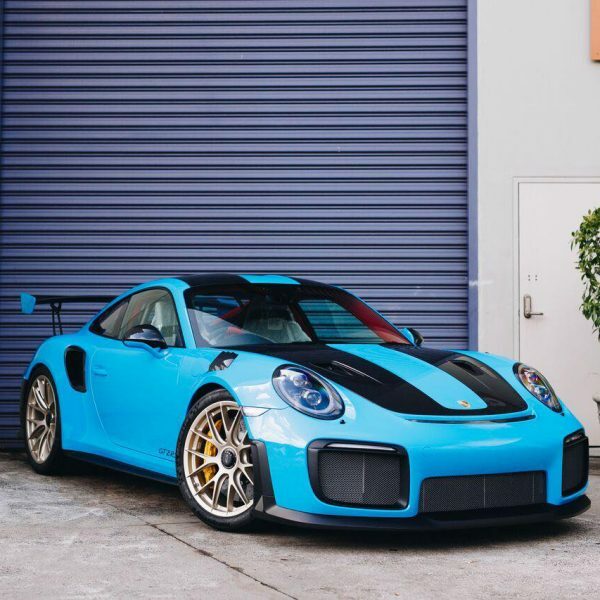 This beautiful Riviera blue Porsche 991 GT2RS arrived to us in Castle Hill at Sydney Premium Detailing to receive our platinum package. 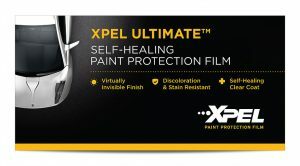 This included to have the vehicle completed in a full body wrap of XPEL ULTIMATE PLUS Paint Protection Film, a invisible clear-bra that protects the vehicles paintwork against elements from driving on road or track such as stone-chips, road debris, bug & bird splatter, tree sap, environmental fall out and even swirls and marring. 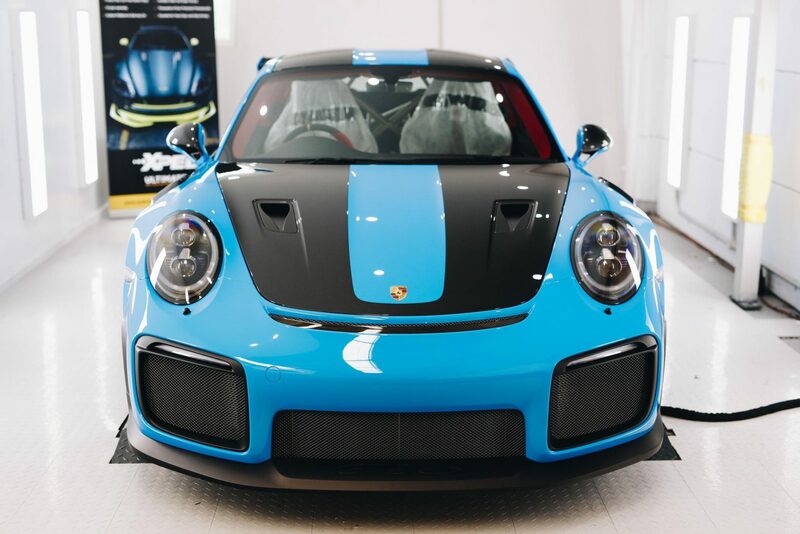 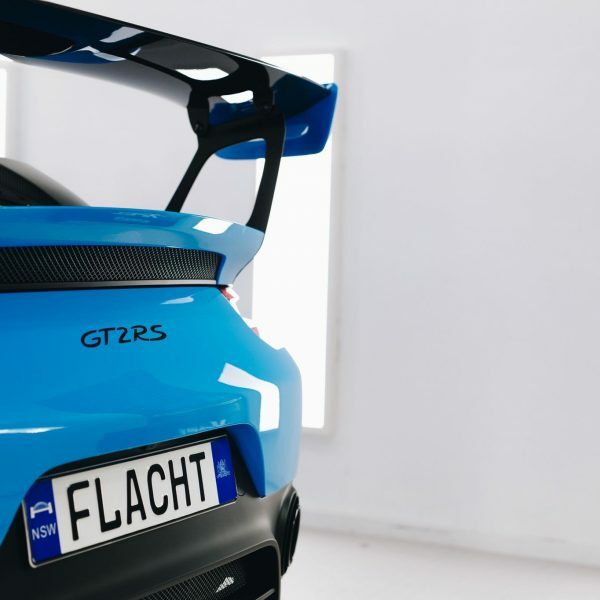 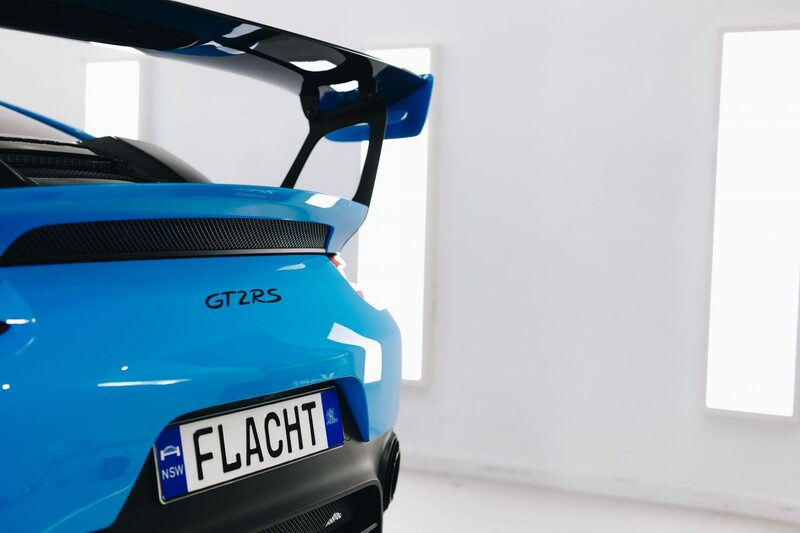 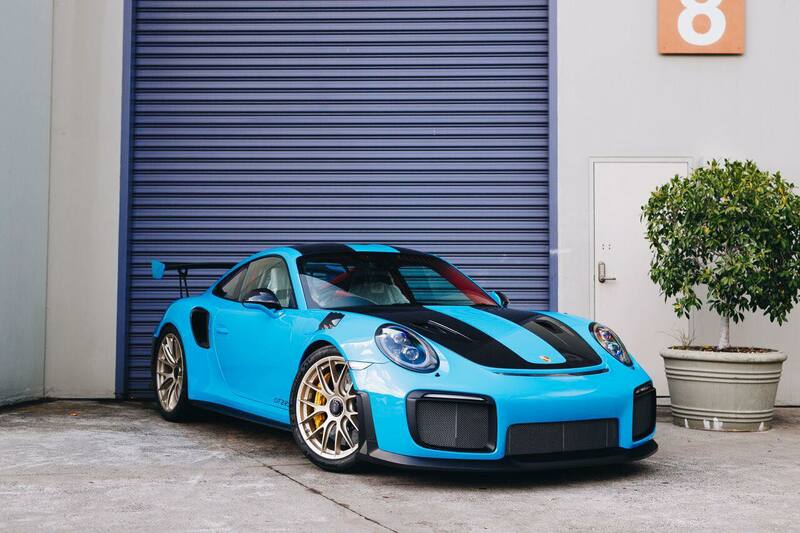 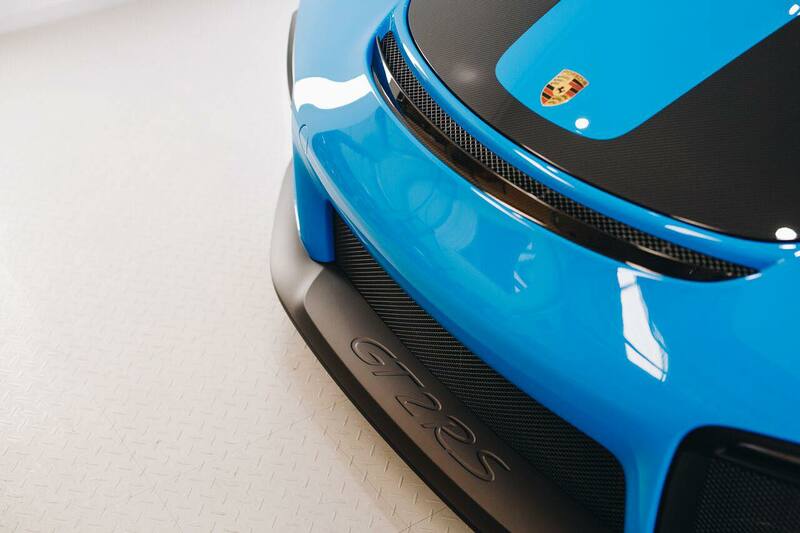 XPEL ULTIMATE PLUS also offers the ability to self-heal, which will prevent any risk of visible swirls on the Porsche GT2RS’s paint and continues to do so throughout the life of the film. 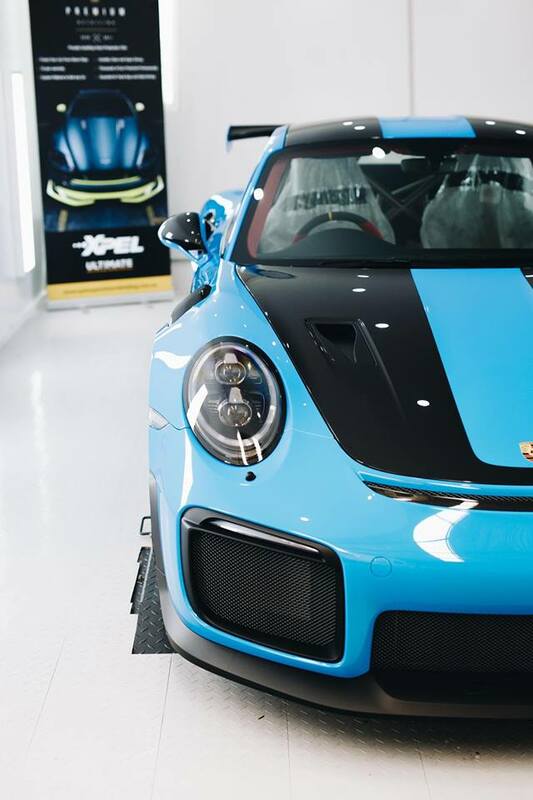 XPEL is backed by a 10 year Manufacturers Warranty globally and has been tested in Australian climates against our harsh UV and adverse weather to resist cracking, yellowing and peeling*. 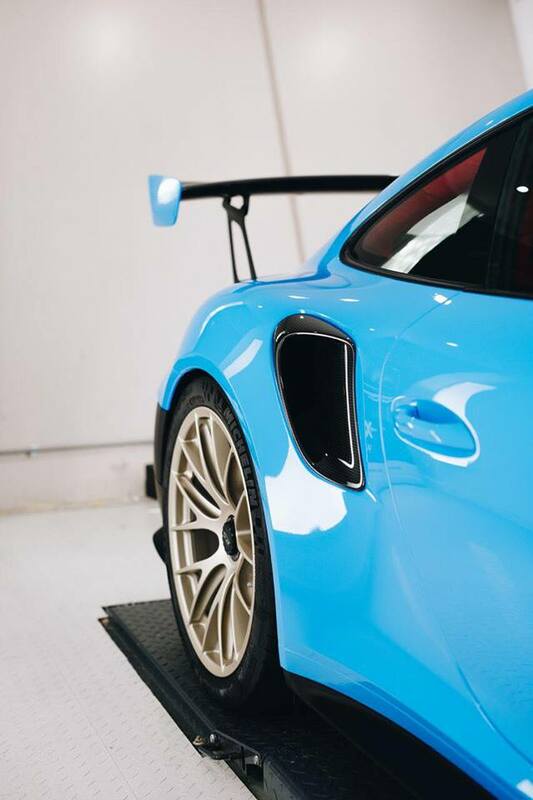 With all Supercar & Exotic vehicles, we follow through a very intensive paint decontamination process and paint enhancement, including paint correction pre-application of XPEL PPF or GYEON quartz Ceramic Coatings. 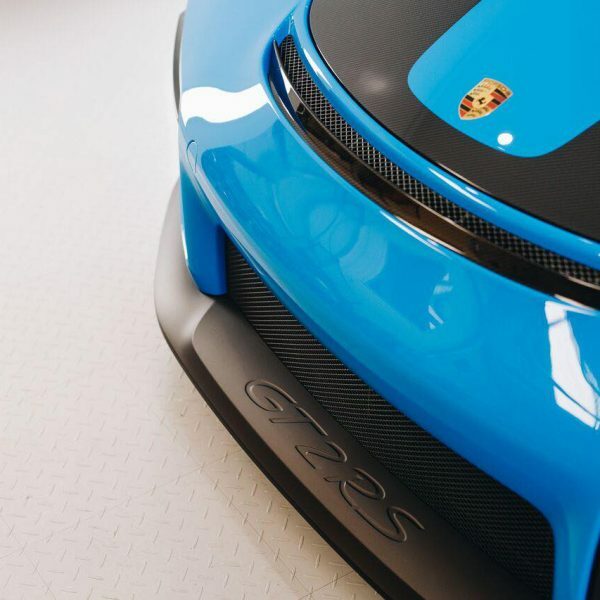 Whilst an intensive paint correction might be suitable for some older vehicles and also unfortunately newer vehicles, our single stage correction to enhance the paints gloss will be ample for newer vehicles and still will offer a tremendous difference in overall look due of the vehicles colour and depth – in this car, Porsche’s stunning riviera blue it was evident that a gloss enhancement improved the overall finish. 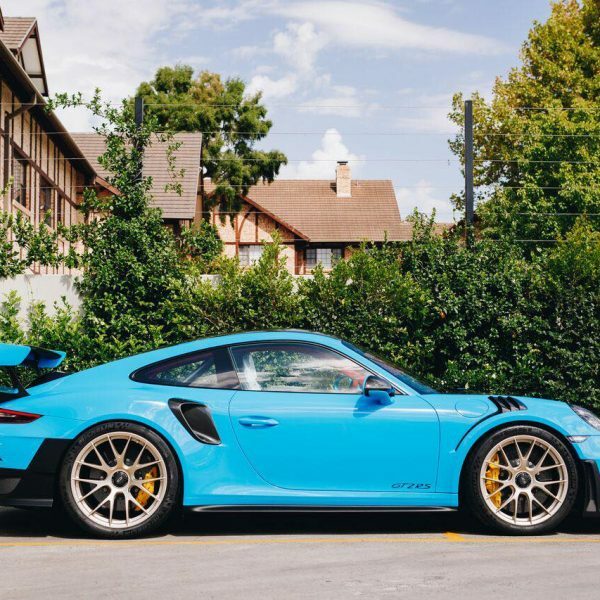 Following our intensive paint cleanse, the vehicle is air dried safely with our touch-free filtered air dryer to ensure all water from the body and crevices are completely removed. 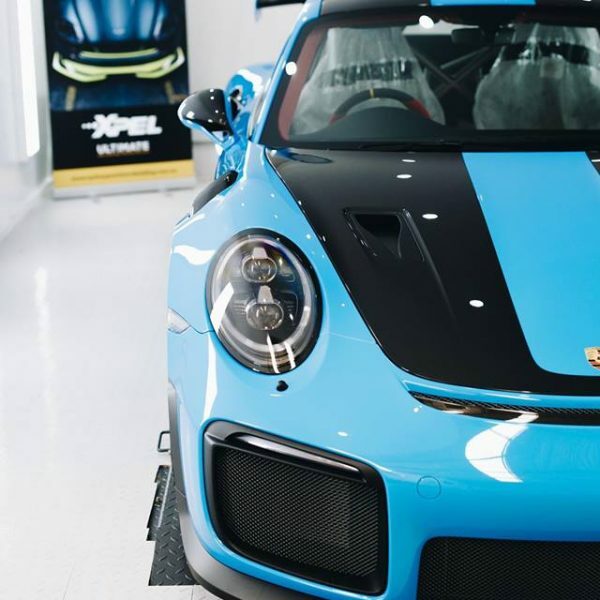 The next process that we complete dependent on the vehicles condition may be a simple yet incredibly effective paint enhancement, or if required an intensive paint correction to remove any evident swirls and marring prior to application of XPEL Paint Protection Film or GYEON quartz SiO2 Ceramic Paint Protection Coating. 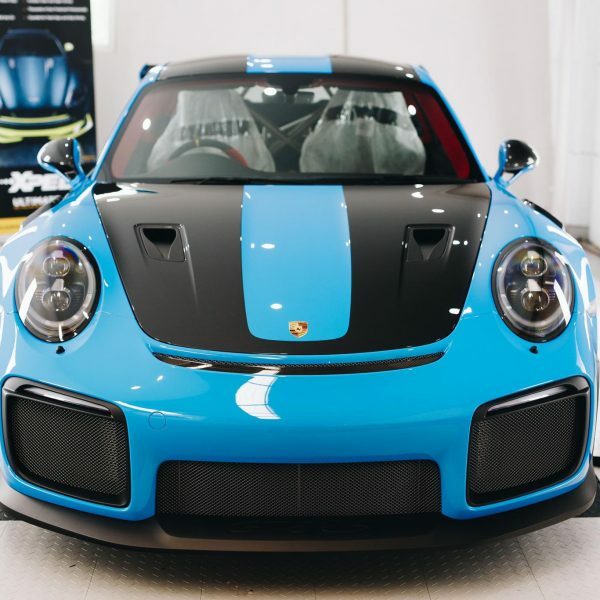 The Porsche 991 GT2RS Detail included our standard SPD decontamination process, a paint & gloss enhancement stage followed with full coverage of XPEL ULTIMATE PLUS Paint Protection Film and custom livery decal application with our signature premium coating GYEON quartz DuraFlex – a 2 part silazane ceramic coating to help with easy maintenance, UV protection for the PPF and paintwork as well as of enhanced gloss.